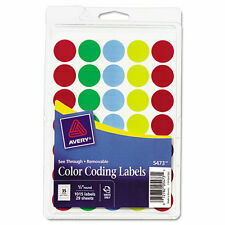 "Avery See-Through Color Dots Label 0.75"""" Diameter 1000/Pack Circle Assorted"
You will receive as shown in photos 1 thru 4, 60 Individual Blue Color Floppy Disk Labels Multi-Purpose Stickers off the Complete Rolls shown in photos 5 thru 8. The labels are full release tamper evident. If your product has a silicone coating or silicone in the construction they will not work for you. The hologram background reads Security Valid Authentic Genuine. 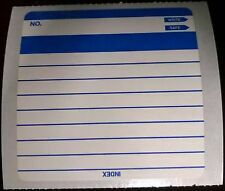 Self-Adhesive Label Holders are ideal for binders. Features high-quality, nonreflective poly with self-adhesive backing. Adhesive is compatible with all materials, including PVC binders. Will not gum up or seep out from underneath edges. 1375 labels per roll. 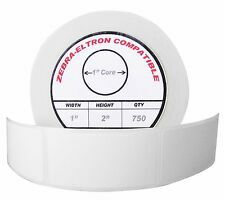 10 rolls 3x1 (compatible with Zebra direct thermal printers). Direct thermal material. They work best on flat, smooth, non-porous surfaces. T he label cannot be reused. 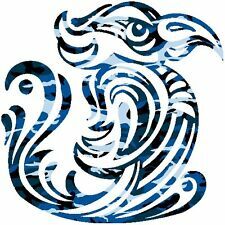 Maximum 4 lines of text and or numbering and maximum 10 to 12 letters or numbers per line for best results. All printing is done in thermal black. To apply, gently roll back the silicone liner and roll the label onto your product. Otherwise they may break apart or stick to your hands while trying to apply them. 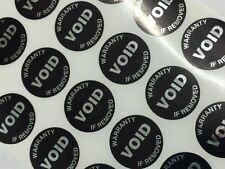 These are high security tamper proof labels. 1375 labels per roll. 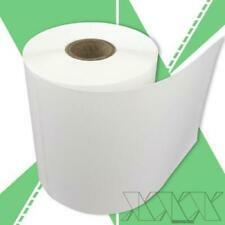 30 rolls 3x1 (compatible with Zebra direct thermal printers). Direct thermal material. Designed to be used with your DYMO LabelWriter label printer, the DYMO LabelWriter Self-Adhesive Labels feature strong, self-adhesive backing, and use a direct thermal printing process that eliminates the need for expensive ink or toner. Whether you are using them indoors or outdoors, this embossing tape sticks to all smooth, clean surfaces for clear, easy-to-read labels. 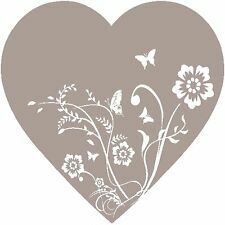 Plus, they resist fading and do not leave a sticky residue or break when you remove them. This label is tamper evident with a pattern release. The bottom image is the label after removal, the top right is the residue. It cannot be reused without evidence of tampering. They are created to prevent alteration or forgery to data. 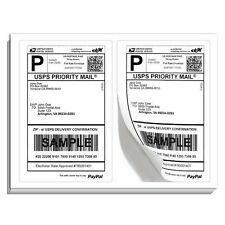 They are 2 mil clear HRI tamper evident material / TP170 adhesive with a 40# liner. Dymo 1741670 Embossing Tape Refill for Express Label Maker (3 Pack). Condition is New. Shipped with USPS First Class Package. Black Print on White paper tape. 100 Sheets with 2 Labels per Sheet. 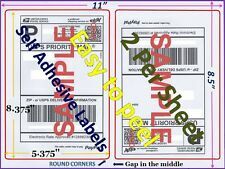 2 Labels per 8.5" x 11" Sheet. Rounded Corners. 200 Total Labels. Works with Inkjet, Bubble Jet or Laser Printer models.